During the PAX East panel for SNK over the weekend, the fighting game developer revealed their first major new character for Samurai Shodown. Named Darli Dagger, she makes for not only the first new character for the game, but the first new character in years for the series. 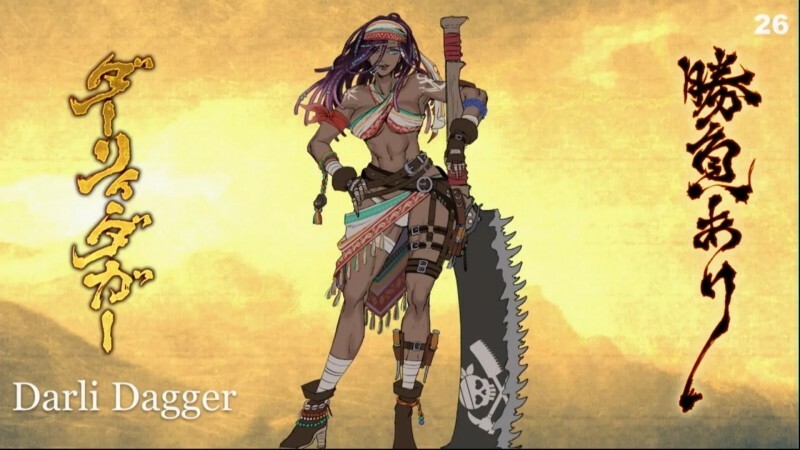 Dagger makes up the first of a trio of new characters for Samurai Shodown, which has already made waves by being greenlit for Evo later this year despite not being released yet. Despite her last name, she wields a giant sawblade, and appears to be influenced by Polynesian pirates around the 18th century. Unfortunately, there’s no gameplay footage of Dagger yet, but we should see some before too long. You can, however, see footage of us playing a recent build on a New Gameplay Today from last month. Samurai Shodown releases on PlayStation 4 and Xbox One this summer, with a Switch version coming later this year.